Mechanical keyboards are a huge upgrade from the cheap membrane keyboards most PCs come with. They guarantee high levels of performance and comfort for both gaming and typing, besides just being amazingly awesome. Likewise, they combine modern technology with the good bits of old-fashion typing, making them ridiculously valuable PC peripherals. But with great sophistication, comes great difficulty in making choices. This article reviews the best mechanical keyboards to help the keyboard enthusiast make the best decision. 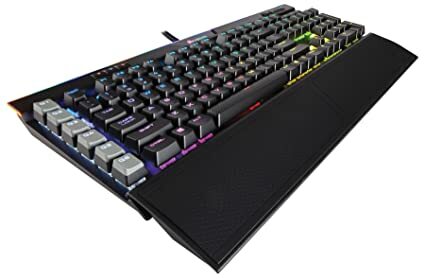 This keyboard comes with a host of incredible features including several dedicated media keys such as an enormous scrolling wheel, extra quick access keys for controlling brightness or activating Game Mode via single key press, and detachable wrist rest. 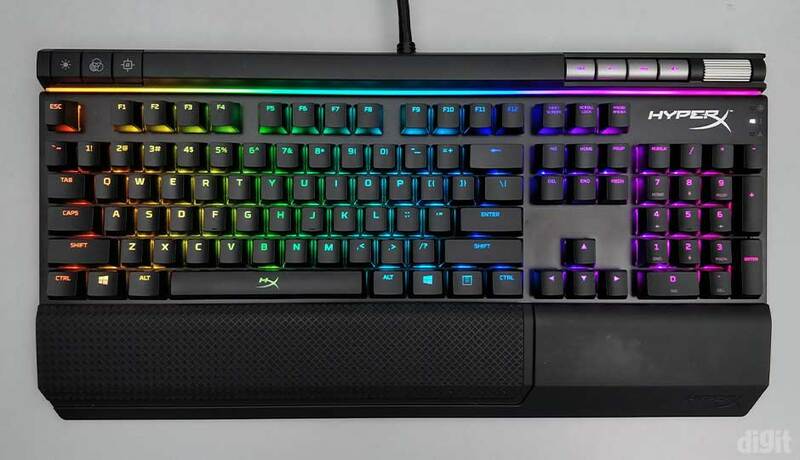 The keyboard can be customized to conform to several gaming/typing styles, thanks to its availability in a wide range of Cherry Switches, from the super quiet Reds to the clicky, loud Blues. Although it doesn’t have the most conspicuous design, preferring red backlighting to the popular full RGB package, it features a simple and unique elegance. Furthermore, one has the freedom to incorporate silvery keycaps for the initial four number keys and the WASD. 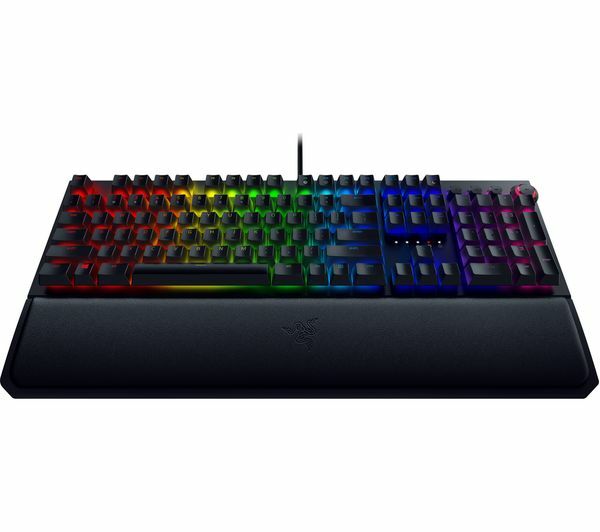 This keyboard features Razer’s opto-mechanical switches, which combine the optical sensor with traditional mechanical switch build. With opto-mechanical switches, a keypress is not registered by metal leaves contacts. Instead, the switch is actuated by a beam of light penetrating the stem during descent. This tremendously reduces actuation delay, making the switch highly responsive. The remainder of the keyboard follow as similar trend as the brilliant design built into the switches. Users enjoy the freedom of altering each individual key’s backlighting. In addition, there’s onboard storage and dedicated media keys. At a modest price tag, the Alienware Pro employs Cherry MX Brown switches to offer users both a satisfying gaming and typing experience. Unlike most gaming keyboards with bland finishes, this keyboard sports an attractive matte silver finish. In terms of color lighting, the Alienware Pro also has a wide range of RGB options, which can easily be activated or deactivated via a button located on at the board’s upper right section. The keyboard is a remarkable option for users seeking an outstanding gaming as well as typing experience on a budget. This is a high-end mechanical keyboard that comes with both first-rate functionality and design. Notable features include 6 dedicated macro keys, Cherry MX Red switches with gold contact, key backlighting with individual programmability, and more. The keys as well as the entire keyboard are built to withstand intensive gaming activity. Other great features include dedicated media keys, smart cable management, extremely comfortable reversible wrist rest, and more. The dedicated channel for tucking away USB cables ensures users don’t experience the common phenomenon of cable nightmare. This keyboard, just like other Razer gaming keyboards, is an admirable option. It’s best known for its superb performance for typing, though performs well for gaming as well. It comes with 16.8-million-color, individually-programmable-key RGB backlighting. Lighting for media controls is also included with incorporated buttons including rewind, fast forward, and play/pause. A great volume wheel positioned to the keyboard’s right edge also makes it easy to initiate instant adjustments. Other incredible features of the Razer BlackWidow Elite design include the 3.5mm passthrough in addition to the USB passthrough that enables users to directly plug in their headphones. Mechanical keyboards are all the rage when it comes to both gaming and typing. Users who recognize their superior abilities swear by them and appreciate them. Furthermore, efforts by keyboard manufacturers to refine them even further mean they can only get better. Indeed, there has never been a greater time to be a keyboard enthusiast. More detailed reviews can be found at keyboard reviews azspecialoffers.net.